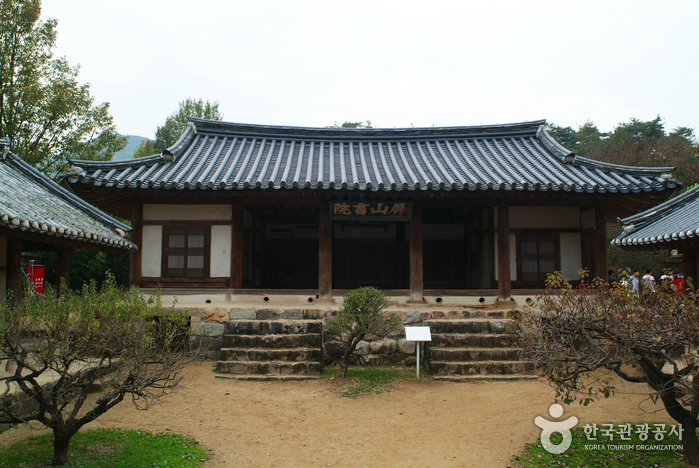 Byeongsanseowon is a Confucian school that was established by esteemed Confucian scholars to pay tribute to the memory of Seong-nyong Yu (1542-1607), who was well-respected for his writings and personality. His mortuary tablet is enshrined at this school. Around the time of 1863, Confucian schools enjoyed many freedoms under the Joseon rule, students and scholars of the school were exempt from taxation and other expenses. Byeongsan Seowon was one of 47 places in all of Korea and 2 in Andong not destroyed during the rule of Daewongun [Politician of Joseon Imperial family, 1820 ~ 1898] in 1868. The Nakdong-gang River is situated just in front of the Confucian Academy. Cross the river and the Byeongsan Mountain can be found. By forming a folding screen like shape around the academy, the mountains both protect and add a serene beauty to the area.